[1/7/2018 1:50:51 PM] System.Private.CoreLib: Exception while executing function: Function1. System.Configuration.ConfigurationManager: Configuration system failed to initialize. 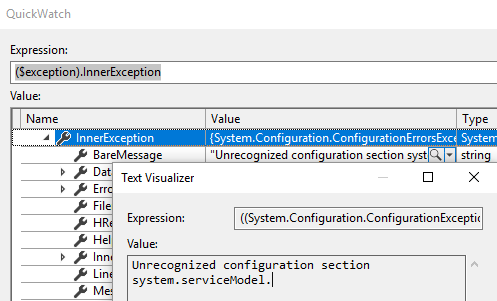 System.Configuration.ConfigurationManager: Unrecognized configuration section system.serviceModel. 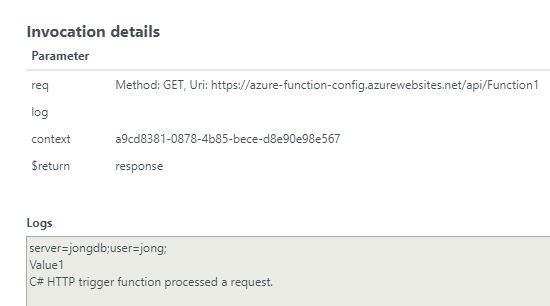 If you remove system.serviceModel from Azure.Function.Cli.dll.config you will see a generic Object reference not set to an instance of an object error. The bottom line is that ConfigurationManager is no longer supported, you have to use the new ASPNET Core Configuration system. Here’s how to do that in Azure Function v2. If you added the System.Configuration.ConfigurationManager NuGet package, then remove it. FunctionAppDirectory sets the directory to find your local.settings.json file. Set optional to true because we won’t have the file when we deploy. 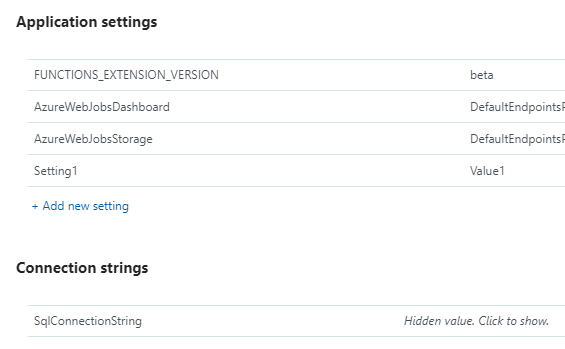 AddEnvironmentVariables will pick up both App Settings and Connection Strings from Azure settings. When you run locally, you’ll see the output in the console window. As an aside, when you republish your Azure Function v2 app, you’ll need to stop it first.